Skating poses a higher risk of falling than when you’re on a bike, one of the reasons being longer time it takes you to apply brakes. Gravel on the track, animals or unpredictable manoeuvres of another person are just some of possible dangers you may encounter during skating. Head injury is the most serious injury and may have fatal consequences. Helmets are therefore essential. 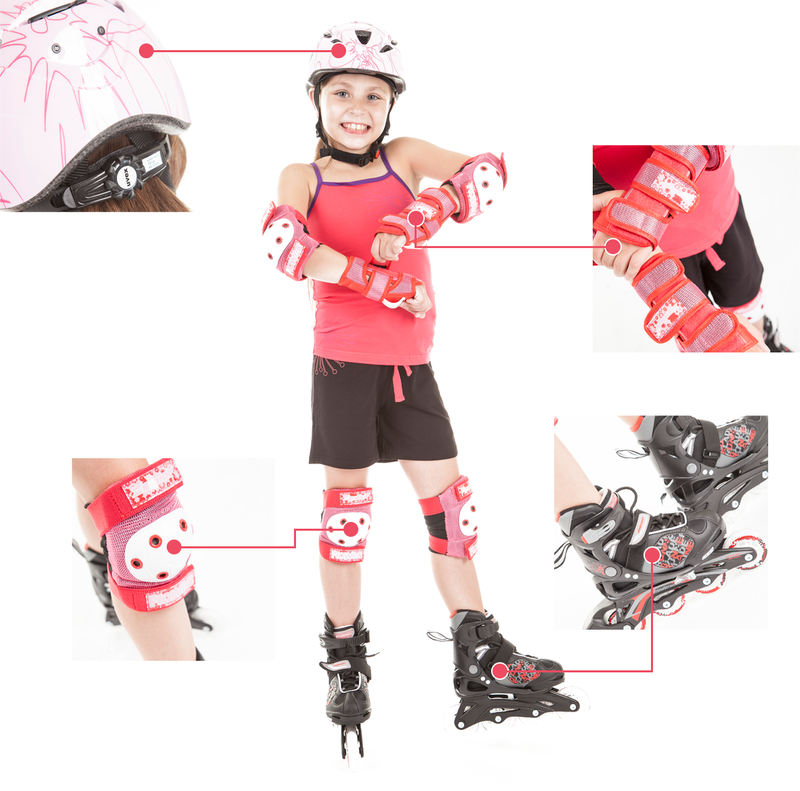 A complete set of protector including knee pads, elbow pads and wrist pads is recommended. Your knees and palms will be the first body parts you will fall on. When choosing protectors, bear in mind that quality pads offer better comfort and breathability, which you will surely appreciate if you spend on skates a lot of time. 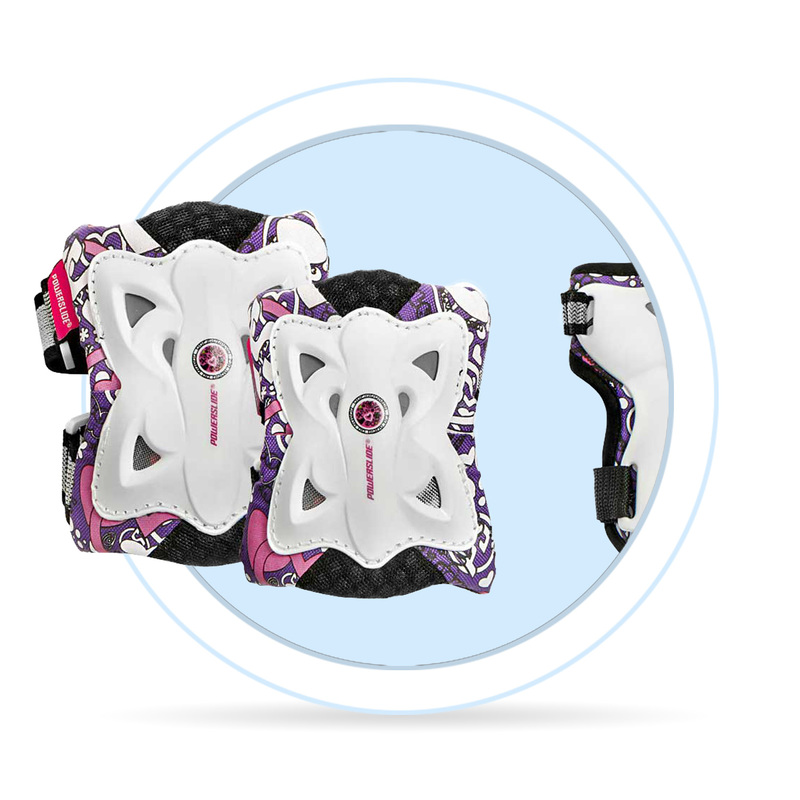 Sizing of protective pads and protectors is similar to sizing of clothing, be sure your pads won’t be too loose or too tight.